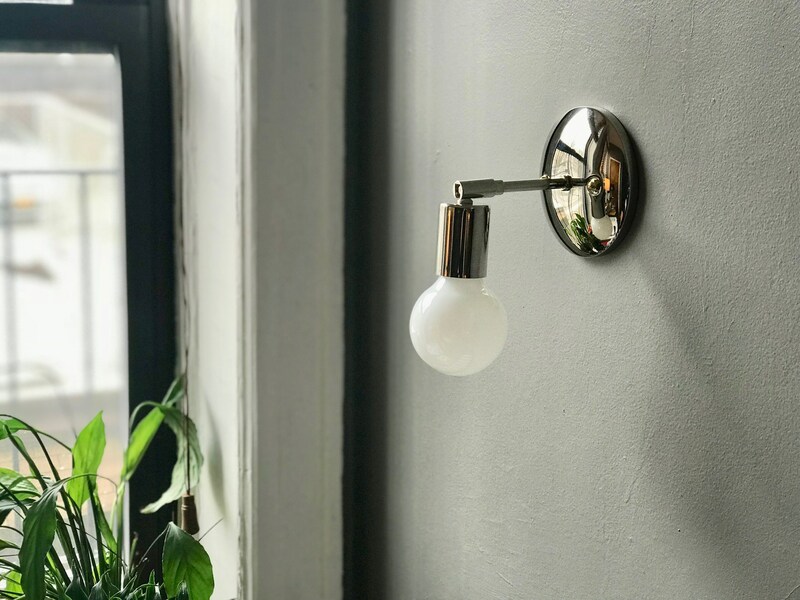 Minimal fuss, but maximum impact, I am absolutely in love with the Soho sconce. • Select "primary color" which dictates the backplate and socket cup. 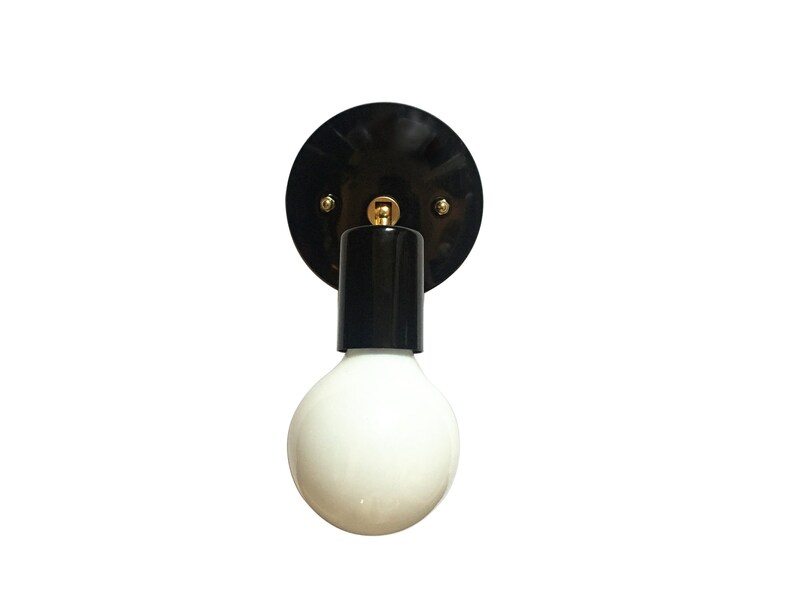 Black and white options have a satin finish, and the Polished Nickel is a mirror finish. Wipe clean with a soft cloth, do not use harsh chemicals. • Select "armature" which dictates the arm, swivel mechanism and screw caps. • Custom dimensions available upon request. Please send a message prior to ordering. As with life, be gentle. Don't use any harsh chemicals. If left untouched, brass will darken and develop a patina with age. If you feel the need to brighten your brass to it's original hue, you can use a gentle metal polish. I recommend a product called Brasso, which can be found at your local hardware store. I have placed an order, when will it ship? I work hard to keep the lead-times listed on Etsy as up to date as possible. You can find these at the top of the "shipping and policies" tab. Unless you are otherwise notified, your order will ship within the listed timeline. 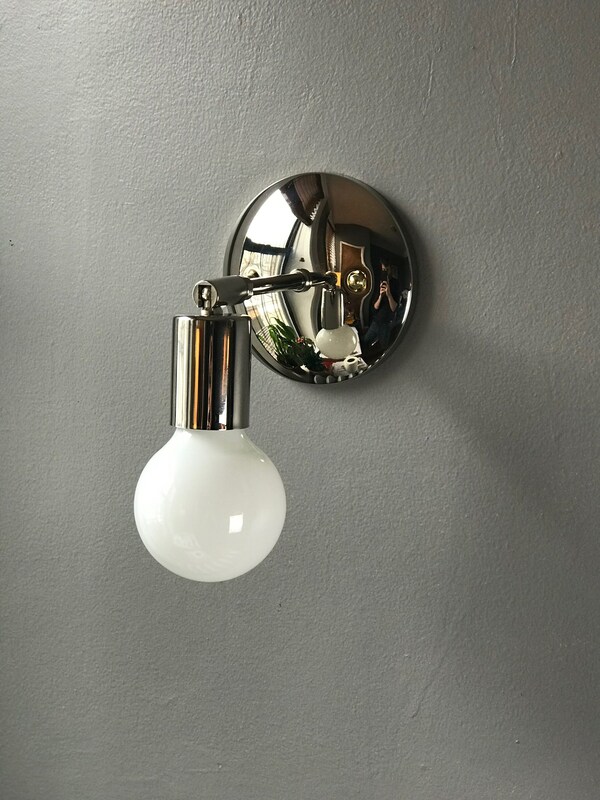 Can I customize this fixture? YES! Absolutely. 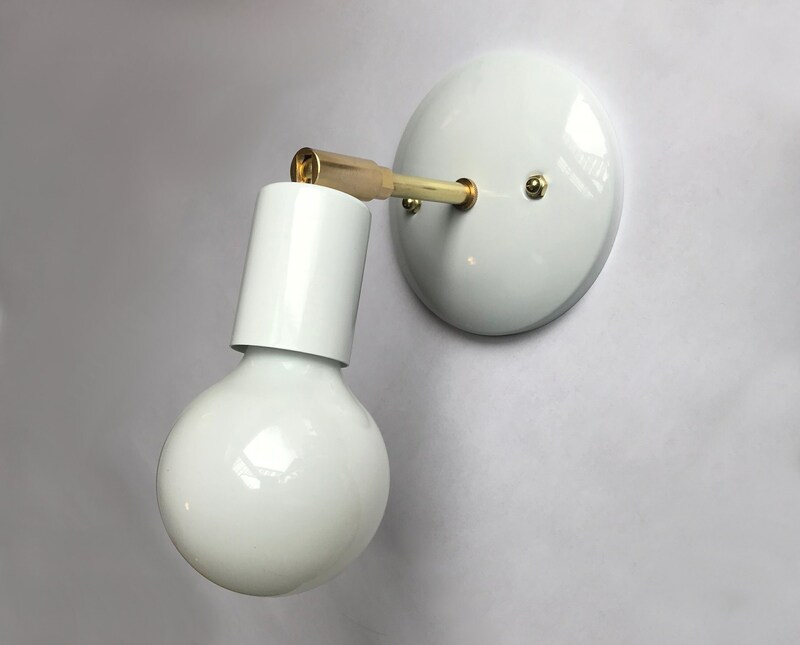 Common customizations include changing the cord color, the switch mechanism, or dimensions. Please shoot me a message with any customization requests prior to placing your order. Well, okay! 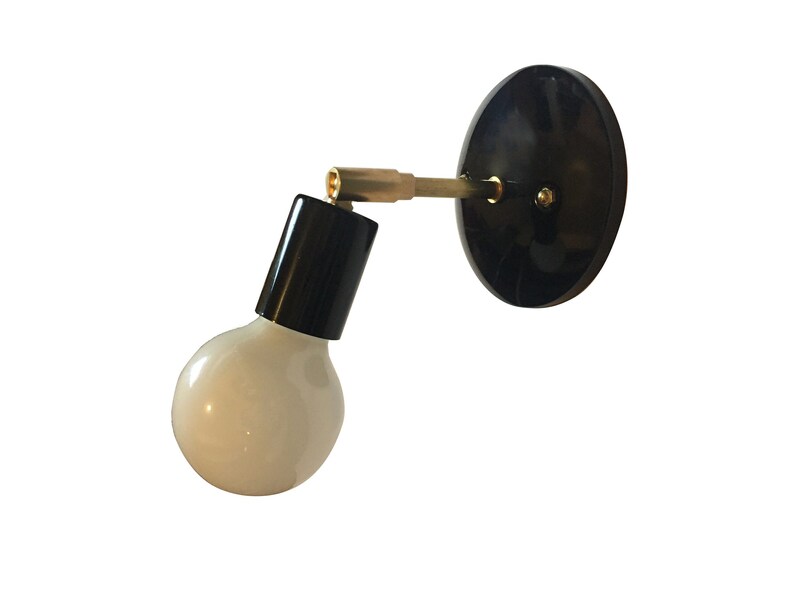 My fixtures are made from solid brass that is not lacquered. The brass is polished by hand, and then covered in a thin layer of artisanal microcrystalline wax (Theres a $10 word for ya). 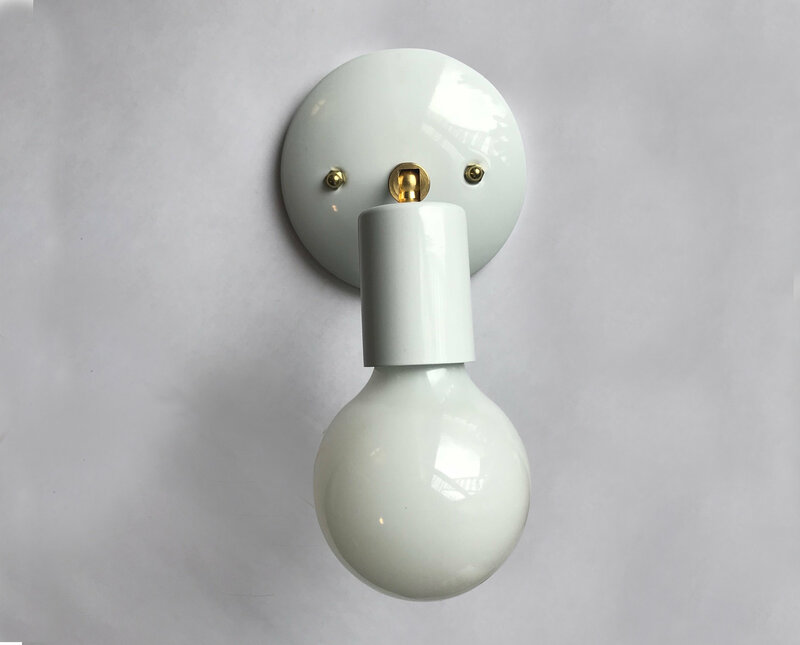 This leaves the fixture with a deep, matte luster. The brass will darken and patina with age. I absolutely love the look of naturally aged brass, but if you prefer the bright gold you can clean it up with Brasso or Barkeepers Friend every six months or so. I am a blogger, can you send me a free product in exchange for promotion? Thank you so much for showing me some love! Please blog about my studio - it makes me feel so good!! Buuuut, unfortunately I cannot offer free product in exchange.